TehFrank on the Rift forums doesn’t let up when it comes to datamining the Rift client for information on possible future content not yet mentioned by any Trion staff directly. Various pets with festive santa hats. Thanks to TehFrank for datamining this info! The Nightmare Rift achievement is interesting because it has a rank “Nightmare I” similar to Great Hunts (I, II, III, IV, V). Also, Stage 15, which is pretty high (most Rifts, even Great Hunt Rifts only go up to Stage 5, some quest ones Stage 6-7). ‘Nightmare’ is clearly Plane of Water-related content, so 3.0-related content. That said, they may appear prior to Patch 3.0 because Trion has indicated they are adding 3.0-related content prior to 3.0 (like the underwater questchain). Interesting to see what these Nightmare Rifts contain. If they are like the Rifts from the underwater questline on Ember Isle, it could be rehash of old content mobs/bosses from the various Planes we’ve defeated in reincarnated/nightmare form. Hopefully they are more interesting and varied than Great Hunts through the ranks. As for Gyel Fortress – TehFrank indicated it was in the target location “Dungeons”, so clearly a dungeon. Due to the name of the dungeon as well as “Hound Master Kytus” as the boss, it sounds like a Fire-related instance. If we look at what happened in the underwater questchain underneath Ember Isle, it would seem these would be nightmare-ridden Plane of Fire mobs. So still possibly related to 3.0 Plane of Water. The possible zones are “Goboro Reef”, “Draumheim” and “Tarken Glacier”. These sound like 3.0 Content zones. 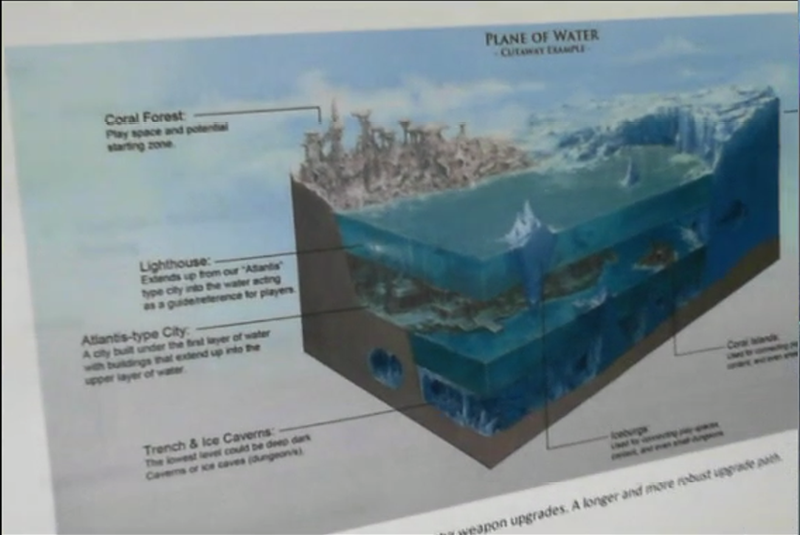 If we refer to the 3.0 Plane of Water Image that Trion showed months ago, it potentially matches up. Now understandably, ‘reefs’ are supposed to be ‘underwater’, although many have probably heard of ‘coral reefs’. The Coral Forest is above-water in the 3.0 Plane of Water Image, but it is still possible that the Coral Forest area will be called Goboro Reef. Heim is German/Norwegian for ‘home’. Draum is apparently Norwegian for ‘dream’. So, Dream Home, or Dream City as referred to in the Image. Pretty self-explanatory. As for ‘Tarken’; most ‘relevant’ information I could look up was that there’s an ice rink in Philadelphia called “Tarken Ice Rink”. Ice! Glaciers! Once again thanks to TehFrank for datamining this info! Trion should seriously make a nyancat companion pet in his name! Hoping to hear more about these new pieces of content in the coming weeks!